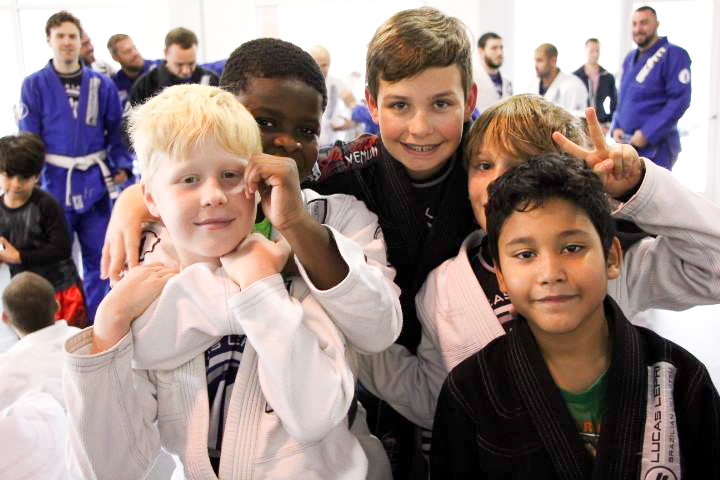 We believe every child should experience the benefits of training in Brazilian Jiu Jitsu! Brazilian Jiu Jitsu is a grappling martial art, meaning the focus is on controlling your opponent on the ground. BJJ is similar to wrestling. However, instead of working to pin your opponent’s shoulders to the ground, Jiu Jitsu practitioners master submissions including chokes, arm bars, and leg locks. Here are seven reasons we think your child will benefit from training with us in our Lucas Lepri Academy in Charlotte! Fear of bullying has troubled many parents. The thought of our child being bullied, or possibly even bullying others, scares us. How can we best prepare our children for a world where bullying is a reality? 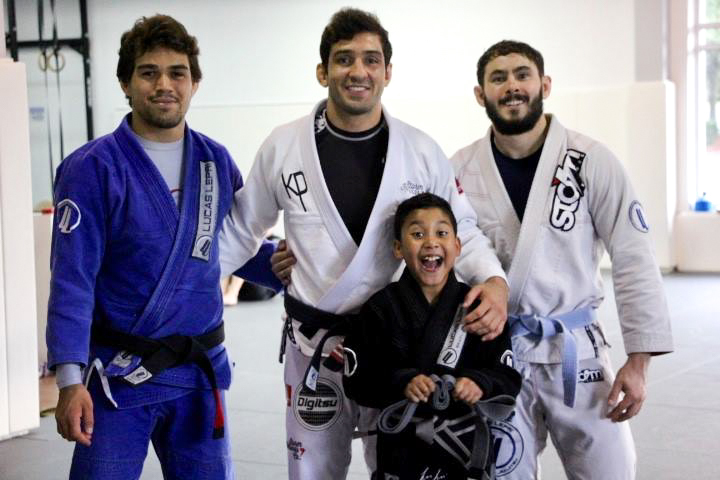 Jiu Jitsu teaches children how to harness their energy into an art that gives them the power to protect themselves and the self restraint to protect their opponents. It is a completely natural human behavior to physically and mentally challenge others. All children will at some time in their lives be on the receiving end of that reality, as well as the perpetrator. Our society’s method for dealing with our sometimes-aggressive human nature is to attempt to quash it completely. We focus on the bullies themselves and on punishing them in the hopes they will stop. Brazilian Jiu Jitsu provides a way to address the cause of the problem, for both bullies and the bullied. We give children the opportunity to express a very natural desire to test their bodies and minds against peers in a respectful, non-harmful way. 2) The most non-violent method self defense. Most martial arts focus on striking (kicks and punches). Brazilian Jiu Jitsu, however, focuses on incapacitating an opponent without actually harming him/her. During classes, children learn how to get out of danger by maneuvering their opponent without causing injury. We had one particular student, we’ll call him Daniel, who was being repeatedly bullied by a larger, older boy. One day, Daniel felt he had to defend himself. He used Jiu Jitsu techniques to maneuver the boy onto the floor. There, Daniel could use leverage to hold the larger boy still until an adult could help. The boy was unharmed, and never bullied Daniel again. 3) Help your child develop self-confidence. Children often feel out of control of their lives. At home, important decisions are made for them by necessity. They can often feel that way in school too. 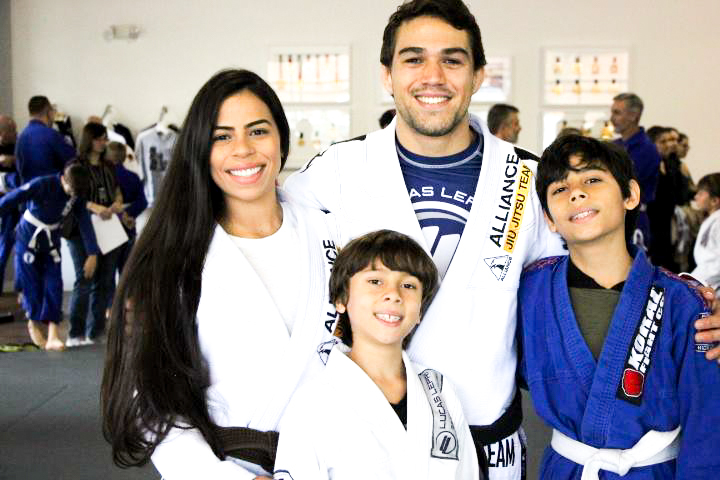 At your local Jiu Jitsu gym, the Lucas Lepri Brazilian Jiu Jitsu Academy, your child will learn to think and act independently in a safe environment. 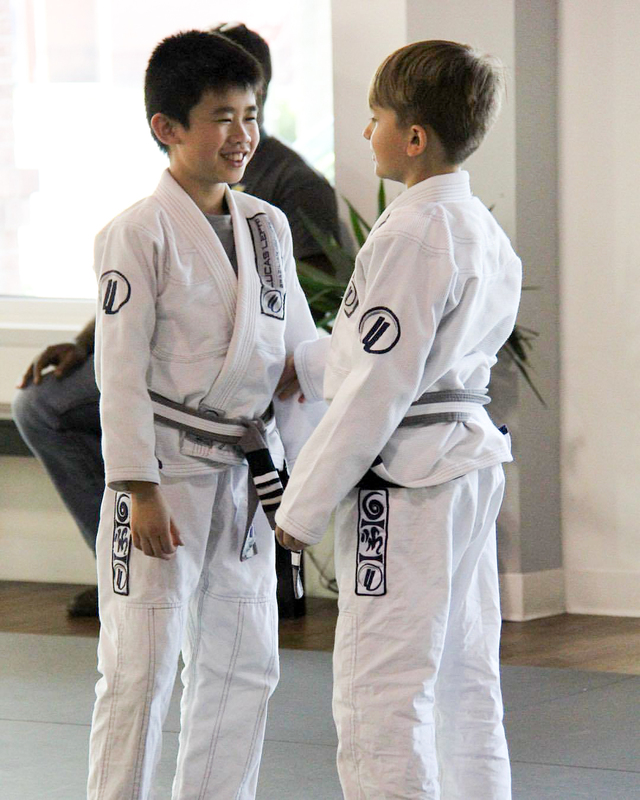 Through practicing techniques and learning to apply them in supervised sparring, your child will feel empowered. Through seeing results in his/her ability to apply techniques, your child will gain immense self-confidence. One of our students – we’ll call her Julie – was so painfully shy when she joined the Academy that she was unable to say hello to instructors for several months. Her mother has approached us repeatedly over the years, expressing her certainty that Jiu Jitsu was the reason her daughter gained the self-confidence she has today. With time, patience, and practice, all of our students grow and develop both physically and mentally. 4) Friendships with children and families who share your values. We love our Charlotte family! If you are anywhere near Matthews or the Ballantyne area, we truly would love to welcome you into our community. 5) Don’t “do exercise” – develop a healthy lifestyle with an active sport! In our era of technology and fast food, we all know the very real dangers to our children’s health and mental wellbeing. Having an active lifestyle and having active hobbies has never been more important. Adults often develop the self-discipline to go to the gym and force their bodies to exercise for the sake of health. We cannot – and should not – expect children to exercise strictly for health reasons. Not when there is a fun way to exercise while developing an important skill! Allow your child to fall in love Brazilian Jiu Jitsu, an activity that provides all the physical activity he/she needs. 6) Develop respect and feel respected. At the Lucas Lepri Academy, your child will learn to be aware of their partner in all interactions. Because of this, you child will develop genuine respect and care for their partners. Children are not born knowing how to demonstrate respect. We teach them specific instructions for showing others respect: look people in the eye, speak clearly, say please and thank you. 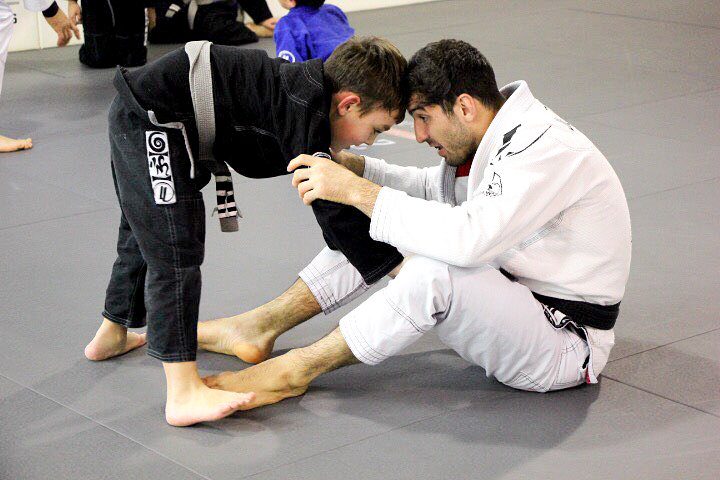 In Jiu Jitsu, children learn profound and subtle ways of showing respect. Techniques require students to be keenly aware of their partner, and executing such techniques during sparring demonstrates incredible awareness of the other student. 7) Real experiences that show that boys and girls are strong. We can all agree one one thing: girls are strong! Brazilian Jiu Jitsu is one of the few combat sports where it is common for girls to tap out boys (and vice versa). Boys and girls train together, as do men and women in the sport. While boys certainly have weight advantages as they age, girls often have other advantages. For example, smaller students find it easier to escape from certain positions and to defend against many attacks more effectively. 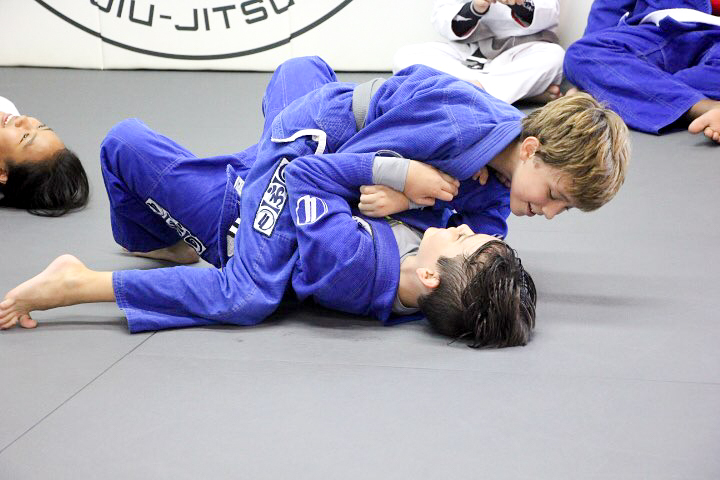 In Jiu Jitsu, boys and girls have a unique opportunity to learn a strenuous sport where there is no clear advantage that boys have against girls. As often as we say “girls are strong,” there are many opportunities in our culture to learn otherwise. There are many sports where boys have a clear advantage. Girls are separated from boys in competitions because of the perceived advantage of boys. We can all learn so much from immersing ourselves in a new reality. 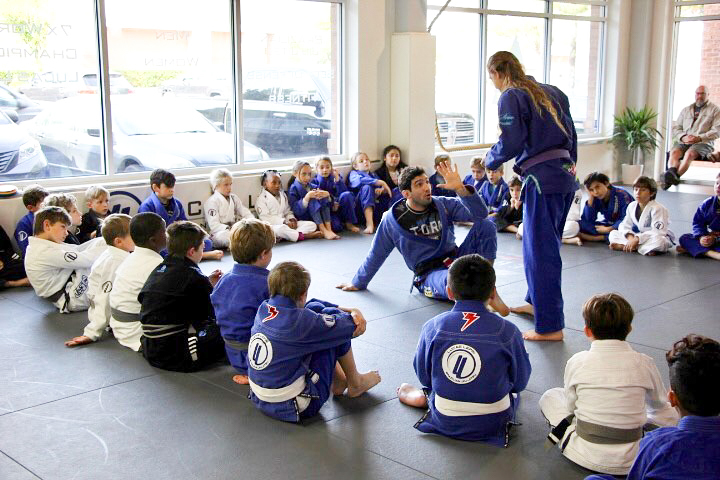 In Jiu Jitsu, boys learn first-hand that girls are strong, and girls learn first-hand that they are not helpless. As you can tell, we strongly believe in what we do. We are truly excited to have your family join our community. We look forward to seeing you soon! Do you feel too burned out after a long work day to effectively train BJJ?